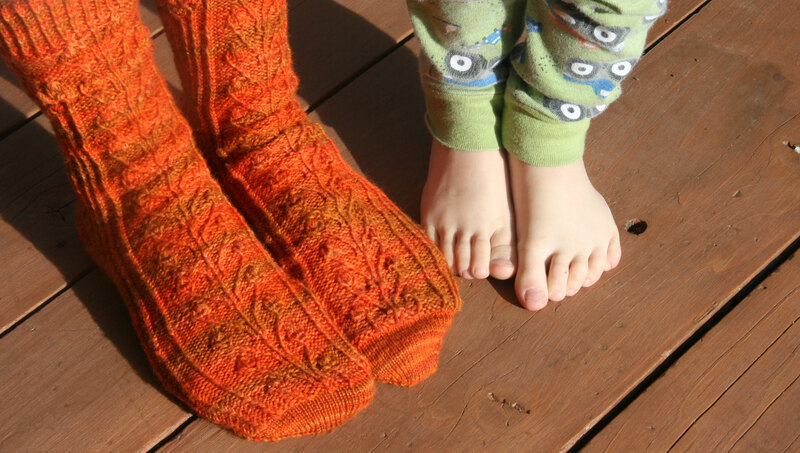 Last year – on June 1st, I decided to knit my way through The Joy of Sox. On November 8th, I started the tenth pattern- these Make-Up Socks. But then knitting a few Christmas gifts distracted me, and I was slow to get going again on my project. In the last couple of weeks I decided I was ready to get going again. For one thing, I enjoy seeing Davey’s feet in the pictures. If I wait too long his feet will be bigger than mine! 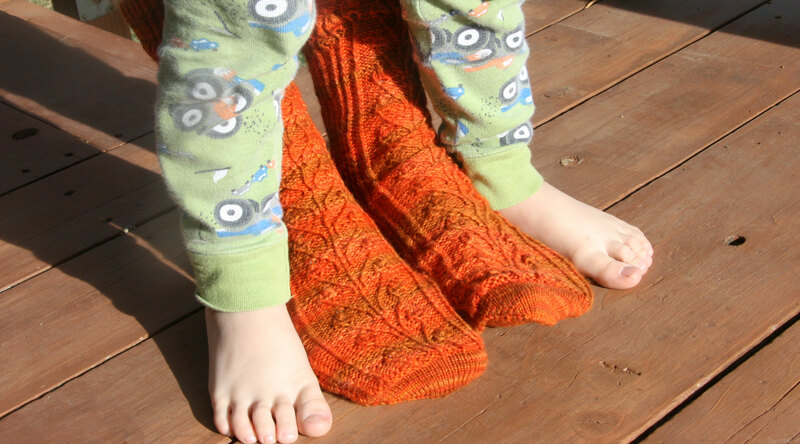 So last night I finished sock pattern #10 – Make-up Socks. They were a challenge. I have blogged about them quite abit. They were always fun but pretty slow going at times. 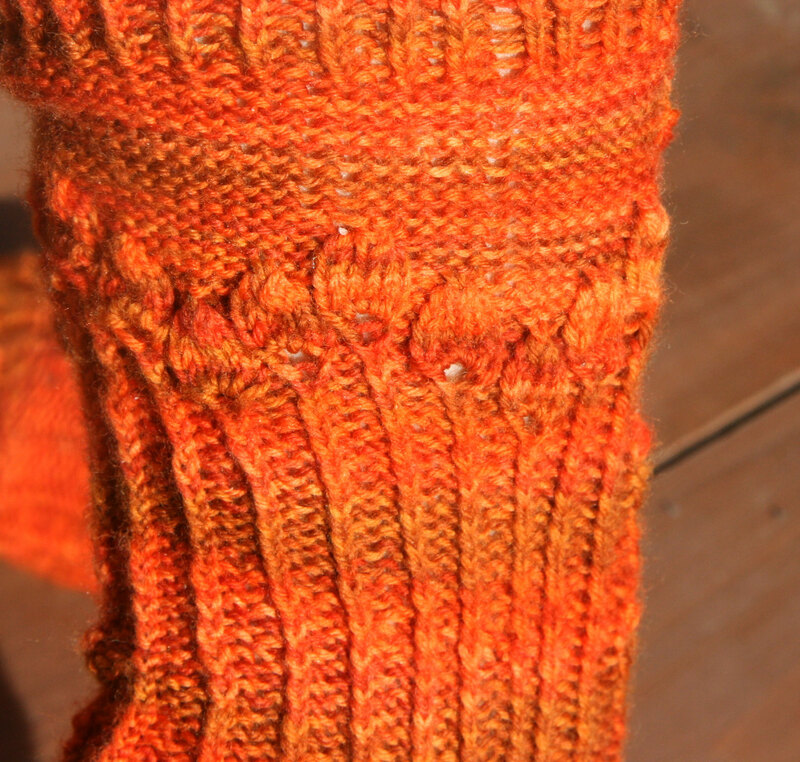 However, I learned to knit a pair of socks on 2 circulars. I enjoyed the 2 circulars very much. I am happy though to go back to my dpns for the next pair. I had to do lots and lots of small cables. I really learned how to “read” cables much better. Also, those little leaves where you increased 1 stitch to 5, knit it several rounds and then decreased back to 1 stitch were so cool. I look forward to using them in another pattern. I can see knitting a really pretty hat with them climbing up the sides. I was glad to have my “photographer” and “photography assistant” helping me again! They are so pretty! Congrats on finishing them. Davey’s feet have really grown! Yippee (clever name for socks too! )–they look awesome!